That attention to detail is one of at least two things that keeps this grab bag of a menu from degenerating into some sort of T.G.I. McFunsters. The other is the quality of the raw ingredients. 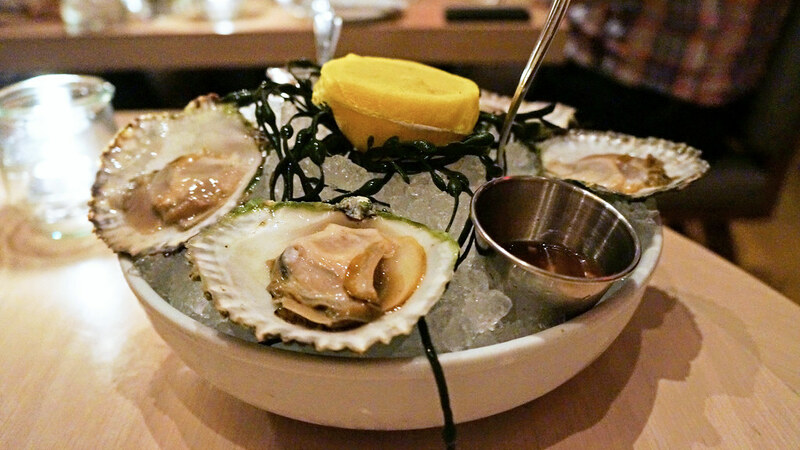 The Dutch's oysters are among the best in town, especially when they bring in the plump, delicate Belons from Maine, with green-edged shells like scallops. The peel-n-eat shrimp, assertively spiced with Old Bay, are stunning head-on specimens, larger, sweeter and fresher than all but the finest sushi bar amaebi. The massive dry-aged ribeye for two rivals the top offerings of the city's best steakhouses. 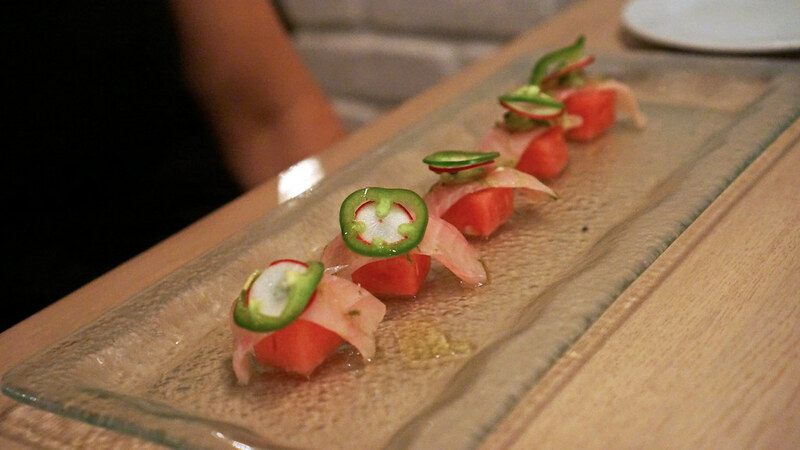 As a result, the simplest stuff is often some of the best at the Dutch: not just the seafood platters and the steaks, but the ceviche of local corvina brightened with citrus and Fresno chile and rounded out with avocado, or the yelllowtail crudo served over cubed watermelon with slivers of radish and jalapeño pepper that tastes like summer on a a plate. The sheeps' milk ricotta garnished with nothing more than fresh herbs and olive oil, served with thickly sliced grilled bread, is elemental and delicious. "Simple" is not "easy," and praising simplicity is a far cry from any slight on the kitchen, which is in the very capable hands of chef de cuisine Conor Hanlon. Though comfort and not creativity is the modus operandi at the Dutch, Hanlon gets to play some too, and the results are usually very good. A summery lobster salad studded with corn, avocado and matchsticks of fresh peach gets an unexpected extra dose of flavor from a cool smoked peach gazpacho poured tableside. 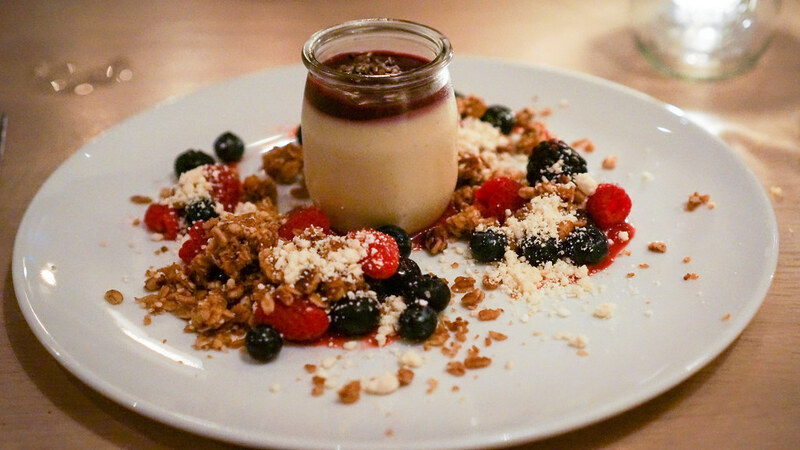 A foie gras "parfait" was a clever repurposing of a typical breakfast presentation - silky, creamy foie gras mousse capped with a port gelée and cracked pepper, served with summer berries and a crunchy, savory granola. I loved this. On our most recent visit, we encountered another great new dish of octopus, first cooked sous-vide then grilled, served with crispy quinoa and three sauces - aji amarillo, piquillo, and olive aioli. I am a subscriber to the "tyranny of the entrées" school of thought that main courses usually pale in excitement compared to the starters. But the Dutch has been an exception, with many entrées every bit as interesting as the appetizers. 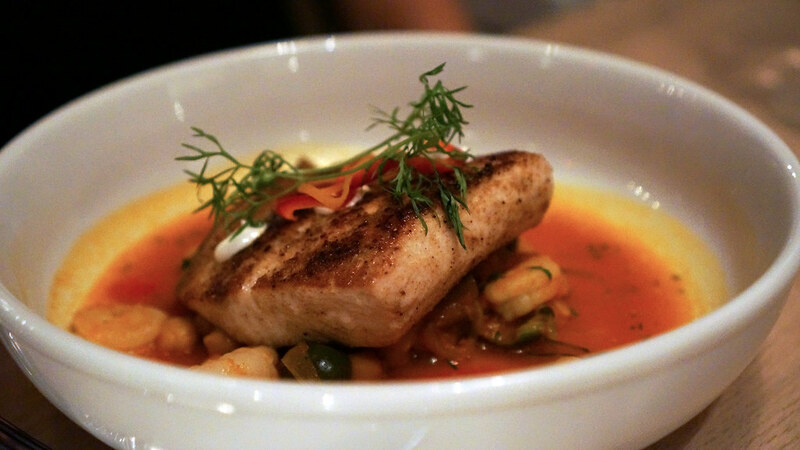 Florida mahi avoids monotony by being paired with an exotically spiced Moroccan tagine of vegetables and rock shrimp, topped with a dollop of creamy yogurt. At an earlier meal, lamb t-bones were given a similarly Levantine spin with a garnish of olives, peppers and lemon zest, served over grilled eggplant with a side of lemony orzo. 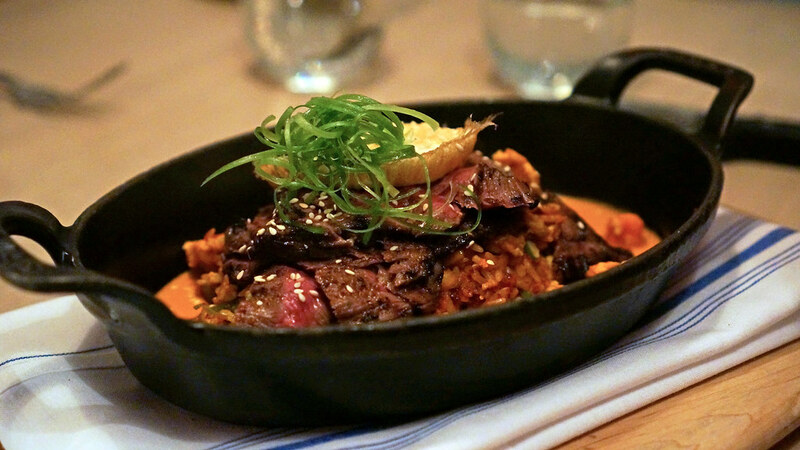 The geographical range stretches even further with a skirt steak marinated with Korean flavors, served over a bed of kimchi fried rice and crowned with a fried duck egg. But even when the inspiration comes from closer to home, like plump seared sea scallops served over a bed of creamy corn succotash studded with popcorn, the dishes are executed with precision and clarity. There are always at least a couple pastas on the menu, all house-made, and strangely given Carmellini's backstory these have not been high points for me. The sauces and fillings are all good, including most recently some oozy cheese ravioli paired with crispy broccoli rabe, but I find the pasta itself a bit dense and chewy. The exception were some silky, pillow-soft agnolotti stuffed with a white bolognese and paired with summer truffles that Hanlon did for a Hurricane Sandy Relief Dinner late last year, which stood out among several great dishes that night. Desserts are the realm of the Dutch's talented pastry chef Joshua Gripper. They tend to stick with the comfort food theme - a few varieties of pie are always on offer, donuts are regularly featured too - and Gripper executes them extremely well while taking subtle liberties with the genre. 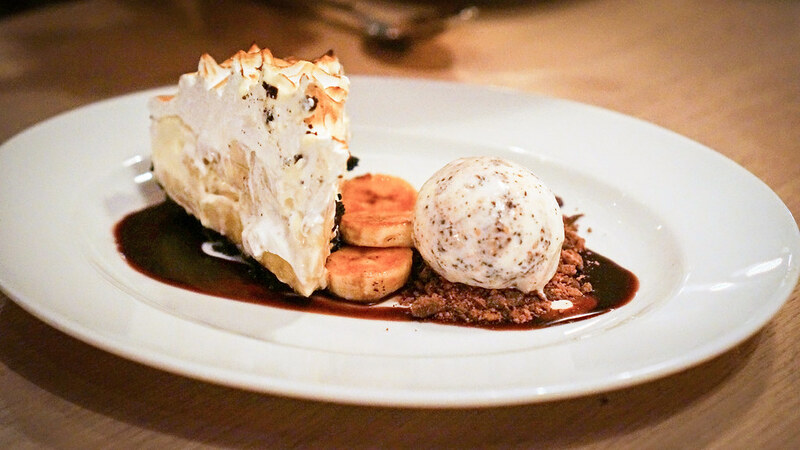 A banana cream pie is textbook but for the chocolate crumb crust. His salted lime pie is a minimalist spin on the classic key lime pie, no meringue, light on the whipped cream, with a sprinkle of sea salt to bring out the tart citrus flavor. His style reminds me of Hedy Goldsmith's - nostalgic, playful, delicious and satisfying. The bar program is another strong suit. When the Dutch first opened here it was on the front end of the barrel-aged cocktail trend, and they're now on their sixth batch (#5, with Kappa pisco, Cynar, Mandarine Napoleon and celery bitters may have been my favorite). It seems everyone has a Smokey Old Fashioned these days, but their version, with bacon-infused Four Roses bourbon, maple syrup and BBQ bitters, is a particularly well executed one. On my most recent visit, I was wowed by the layers of flavor in the "First Word," a spin on the Prohibition-era "Last Word" (gin, green chartreuse, maraschino liqueur and lime juice) which subs jalapeño-infused mezcal as the primary spirit. It's interesting that cocktails here at $15 are a buck higher than even in the NYC home office, though basically in line with the South Beach going rate (they're mostly $16 at The Bazaar, $14-16 at Restaurant Michael Schwartz, and $17 at the Rose Bar in the Delano down the street). The wine list is likewise well chosen for everything but value, with a paucity of bottles under $60 (and the few in the $40-45 range mostly at a painful 3-4x retail markup) and most residing in three-figure territory. 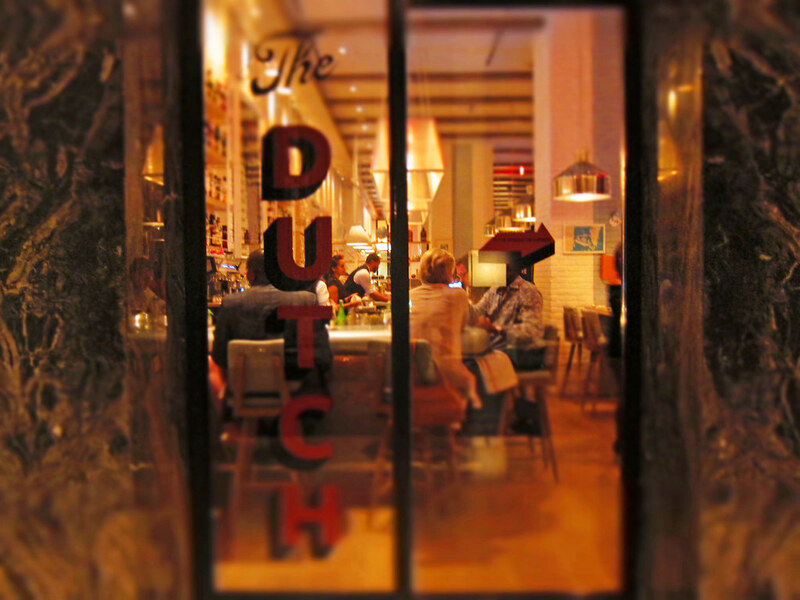 Indeed, the Dutch is a casual restaurant, but not an inexpensive one - diners may wear t-shirts and jeans, but they're likely to cost hundreds of dollars. And if there's a knock on the place, it's that the casual style, both of the food and the surrounds, is somewhat disconnected from the price points. 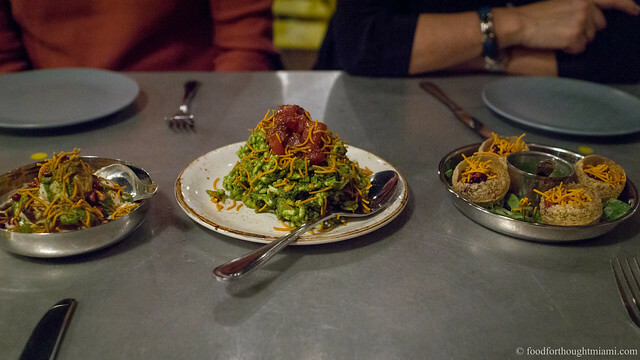 Snacks and appetizers run mostly in the $15-20 range, mains congregate around $30 (though lately there have been more below that point than above), and with a drink or two you quickly find yourself looking at a $100 per person meal. It's not that I don't understand why - the South Beach location commands that kind of premium, and those great raw ingredients don't come cheap - but, like Japanese selvage denim, there's a fair question of whether you want to pay that kind of money for such things. As for me, I'm glad to skip the fancy jeans and spend my money on good food. It turns out the name actually doesn't mean anything. In an interview Carmellini explained: "The name was a little bit risky because it doesn't really reference anything in terms of what the restaurant is. I'd signed the lease, and I wanted to do this American thing. I had a list of 400 names. I didn't want to name it after a farm or a type of heirloom raspberry. It sounded cool, to tell the truth -- 'I'll go have brunch at the Dutch, dinner at the Dutch.' The musicality of the word just sounded cool to me. And the name kept coming up on the list and in references to what was Soho was before. There were gangster references, and we were making Dutch baby pancakes while recipe-testing for the book." Unlike many chefs who open "satellite" restaurants in South Florida, Carmellini actually has local connections - his grandmother lived in Little River (a part of town that's basically been subsumed by Little Haiti now) and he visited regularly growing up. The incorporation of the local landscape into the menu at his South Beach outpost consequently feels a lot less forced than most - no mango salsa or mock Cuban sandwiches, just good local produce and seafood where it makes sense. I think he's the first chef to get both the "invasive exotic species" and the "local flavor" tags on this post. I should note, though, that service at the Dutch is anything but the usual "South Beach casual." They have a staff of real pros who are friendly, knowledgeable and efficient, and have had very little turnover since opening. In that respect it is the antithesis of the usual South Beach experience. I wish our last experience at The Dutch had been as pleasant as your various experiences. We went last year during Miami Spice, and, even though we order several items in addition to the Miami Spice menu, our server unceremoniously dumped the check on our table while we were still eating dessert, not even asking if we were interested in coffee or anything else. The restaurant was busy but not full, which makes this even more perplexing. When, upon leaving, I mentioned this incident to the manager, he offered a very tepid apology, and said he would talk to the server. A follow-up email didn't even yield a reply. Considering that just a few months before we had had one of our best meals of the year at the Cobaya dinner, I have very mixed feelings about patronizing the restaurant again. I also did not understand the Dutch but I guess it would make the dishes more interesting if the owner will add mix of Korean and Italian influence in their dishes. 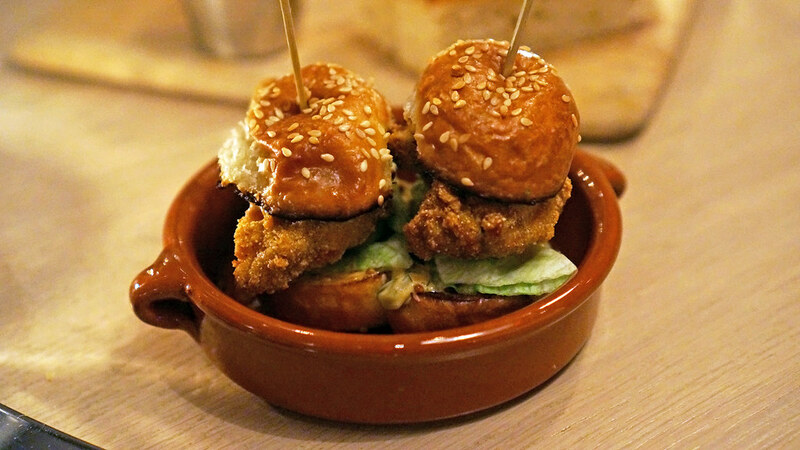 The Little Oyster Sandwiches looks so yummy, appetizing and interesting. 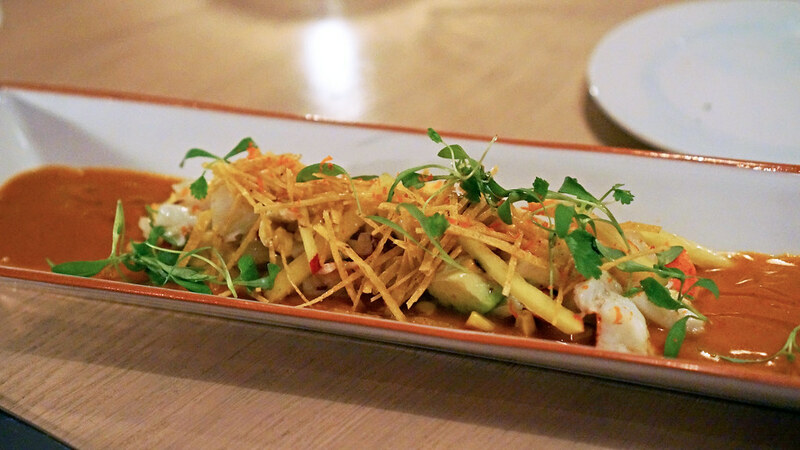 I love how the dishes were presented with good garnishes and ingredients. Thanks for sharing your experiences at this restaurant in Miami Beach. The food looks interesting.